Even by the standards of a professional musician, Stuart Canin’s timing has been impeccable. As a young G.I., he arrived in Europe just as the Germans began to recognize their inevitable defeat. He also had the presence of mind or naïve optimism to bring his violin with him. Transferred into a morale-boosting entertainment unit, Canin found himself playing for the big three at the Potsdam Conference. Canin looks back at the historic command performance in Sam Ball’s fascinating short documentary, The Rifleman’s Violin (trailer here), which proceeds a special performance of the Potsdam concert at the 2016 New York Jewish Film Festival. 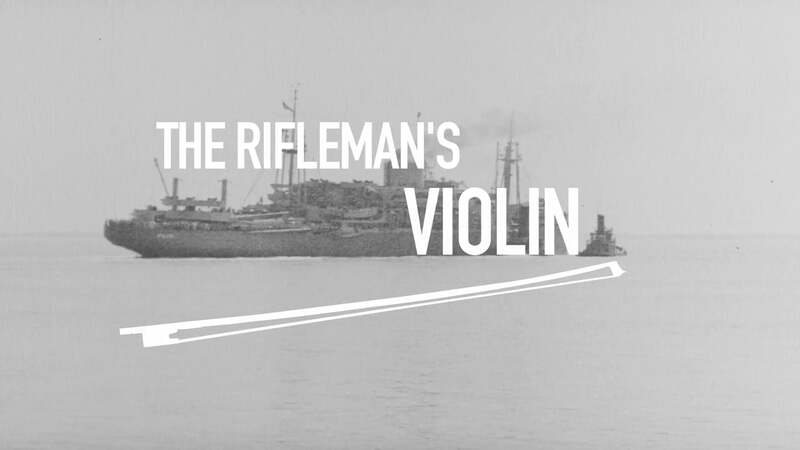 Produced in conjunction with the prestigious Hoover Institution’s Potsdam Revisited educational and multimedia project, Rifleman documents one of the more edifying footnotes to a pivotal juncture in Twentieth Century history. Canin expected to fight, but instead he staged performances in military hospitals and as part of outreach campaigns to the local population. He quickly forged a rapport with concert pianist Eugene List. One of their specialties was Manuel de Falla’s “La Vie Breve” or as Canin redubbed it: “The Infantryman’s Theme Song.” When the contemporary Canin plays it in Rifleman, it is clear the violinist still owns the three minute piece, so patrons who attend the concert are in for a real treat. Rifleman is a terrific short (fourteen minute) documentary and the concert of the Potsdam program, featuring Thomas Sauer on piano, is sure to be incredible. The intriguing details Ball captures should also whet viewers’ appetites for more films from the Potsdam Revisited project. Highly recommended, The Rifleman’s Violin screens this Sunday afternoon (1/24) at the Walter Reade, as part of this year’s NYJFF.